scarcity in the country, the Independent Petroleum Marketers Association of Nigeria, IPMAN and National Union of Petroleum and Natural Gas Workers, NUPENG, have urged Nigerians to stop panicking over fuel scarcity as there is sufficient product. The duo said this on Saturday April 13 in Lagos against the backdrop of the ongoing fuel scarcity in the country. The National President of IPMAN, Mr. Chinedu Okoronkwo said that there was no need for panicking over fuel scarcity, as virtually all the NNPC depots across the States had commence loading of petroleum product by marketers. ‘’Marketers are currently loading petrol in Makurdi, Kano, Enugu, Aba,Yola, Suleja, Kaduna, Ejigbo, Mosinmi, Ibadan and other depots across the country. The shortfall in distribution was due to slow pace of product importation and hitches at the jetty which had been addressed. But the Federal Government is on top of the situation, there is enough of petrol to go round. I have also instructed all our members to ensure adequate distribution of the product across the country. I have also directed them to ensure product is sold at official price of N145 per litre. If there is any issues on distribution and pricing differentials, members should call the secretariat for further action. The Petroleum Product Pricing Regulatory Agency (PPPRA) template has not changed, so, no marketer should influence hike or sell above official price,’’ he said. “IPMAN which controls 80 per cent outlets, has more advantage in distributing and dispensing in both urban and hinterlands in the country. 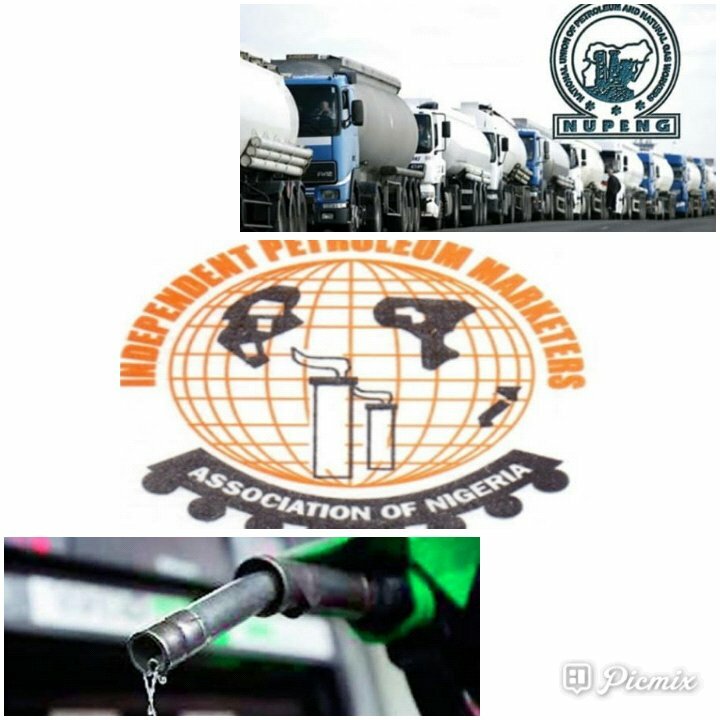 In line with the Federal Government’s efforts at ensuring efficient petroleum products distribution across the country, IPMAN members have opted for a seamless distribution of petroleum products,’’ he said. Chairman, Lagos Zone of the National Union of Petroleum and Natural Gas Workers, NUPENG, Mr. Tayo Aboyeji also colloborated the IPMAN’s President, saying “there is enough fuel, Nigerians should avoid panic buying’’. According to him, “there is fuel and it is available, as I am talking to you now, some of the depots have received the products and are already loading. What is happening was panic buying, people think there might be price increase from government or removal of subsidy. But nothing of such, government has assured us that no increase in petrol pricing for now, so, Nigerians and marketers should avoid being panicked over fuel scarcity. I urge Nigerians and motorists to avoid storing of petrol at home because it’s dangerous for us, fuel is available, I have visited some depots and I can confirmed to you that loading is going on. As at Friday we instructed our tanker drivers to engage in 24-hours loading activities and lift products from depots to filling stations across the country. We will ensure 24-hours service delivery of product distribution in the country, we also urge government to checkmate activities of the task force in Lagos and along Ibadan expressway. Our members are being extorted and harassed by members of the task force. Some drivers who were scheduled to load in Lagos were denied asses to Lagos, which also affects effective distribution of products,’’ he added. Chairman, Western Zone of IPMAN, Alhaji Debo Ahmed said the ongoing queues at some stations was due to the shortfall in NNPC distribution network to depots. Ahmed said all depots within the South-West zone were loading at a low pace due to insufficient products. “We have lots of pending tickets from marketers awaiting loading at depots but were still stranded".